When, where, and how do dew and frost form? You become the scientist by making observations close to home. Then think about what you noticed and what it might mean. 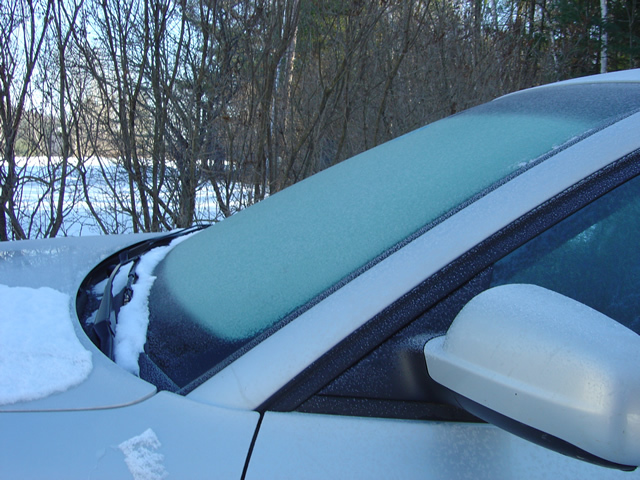 Look around your house or street for a car that is usually left outside overnight. Every morning for a week, observe the car's windshield. 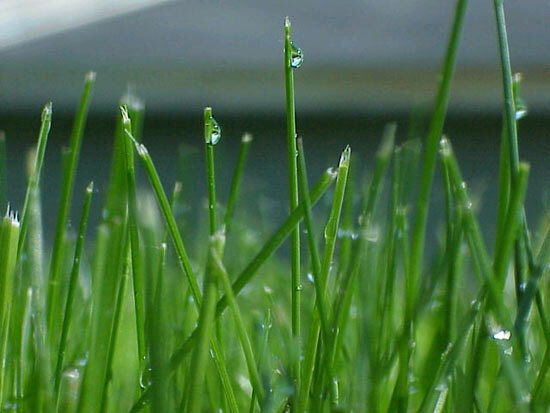 Do you see evidence of dew or frost? At the same time, gather weather data. 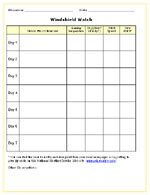 Use the Windshield Watch worksheet to document your findings. How would you explain your observations? What conditions seem to promote dew and/or frost? In what ways do you think these natural events could affect monarchs in their habitats? Water that has condensed on a cool surface overnight from water vapor in the air. Ice crystals formed when the water condenses at a temperature below freezing. Copyright 2006 Journey North. All Rights Reserved.